Rebuilding Together Washington County is a 501(c)3 nonprofit providing some of our community's most vulnerable homeowners with safe and healthy home repairs. On April 27th, 2019 we will bring together over 150 volunteers to complete over $50,000 in home repairs for Washington County's low-income homeowners as part of National Rebuilding Day. 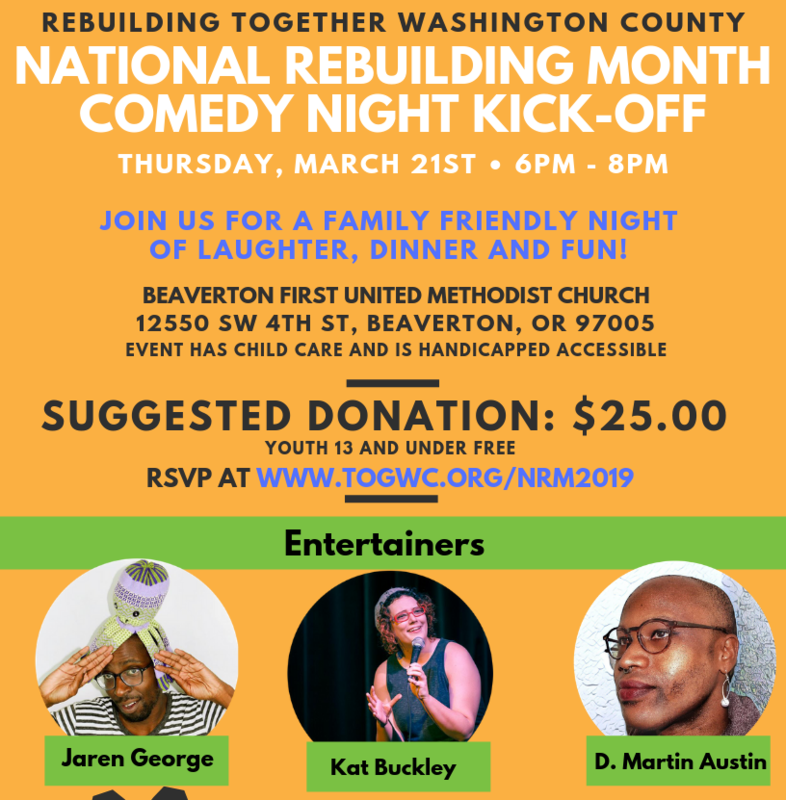 Help us kick of our National Rebuilding Month activities and join us at our Comedy Night Kickoff!